There are many different kinds of pain and many different types of pain relief medication to help you combat them. 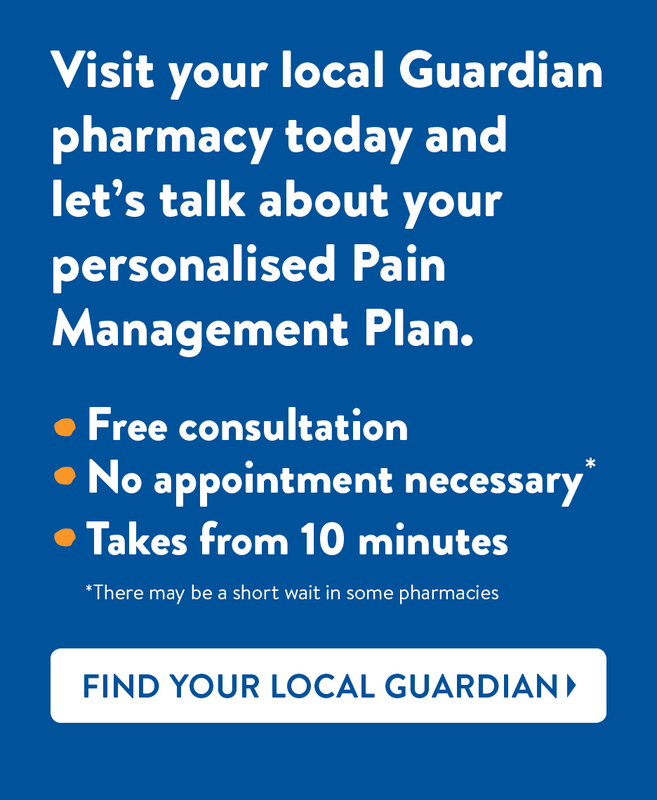 Before you take any medication, it is important to try and identify the cause of the pain with your Guardian pharmacist, so you can work out which pain relief is right for you. One of the ways we can categorise pain is by separating it into acute and chronic pain. Acute pain typically comes on suddenly and lasts for a shorter period of time. Some common examples of acute pain include headaches and toothache. Chronic pain lasts longer than acute pain and is generally somewhat resistant to medical treatment. Arthritis and back pain are two good examples of chronic pain. Your Guardian pharmacist can also advise you on the best pain relief for children, what is safe to take during pregnancy, help you find alternatives if you have any allergies, and make sure that your pain relief isn’t interfering with any other medications. So whatever kind of pain you are in and whatever your personal needs, we can help you find the right pain relief for you. For further reading visit our pharmacist services, or find your nearest store.